Heart's Delight Cards: A Warm Howdy! 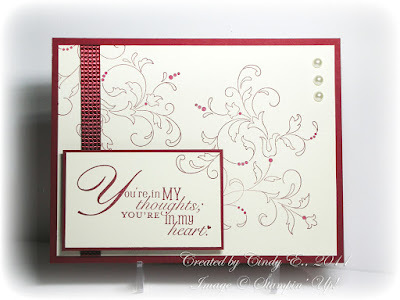 Today I am honored to be the Featured Friday Cardmaker over at the OWH Stars and Stamps blog! So, if you are visiting from OWH, I'd like to extend a happy welcome!!! The theme of OWHtv Episode 24 was clean and simple (CAS) cards, which inspired me to make these. I'm pretty sure Sandy, Dixie, and Kris can never have too many "Miss You", or "Thinking of You" cards, so these will be added to the box! In fact, I just checked the Current Needs page, and all three need 'em! 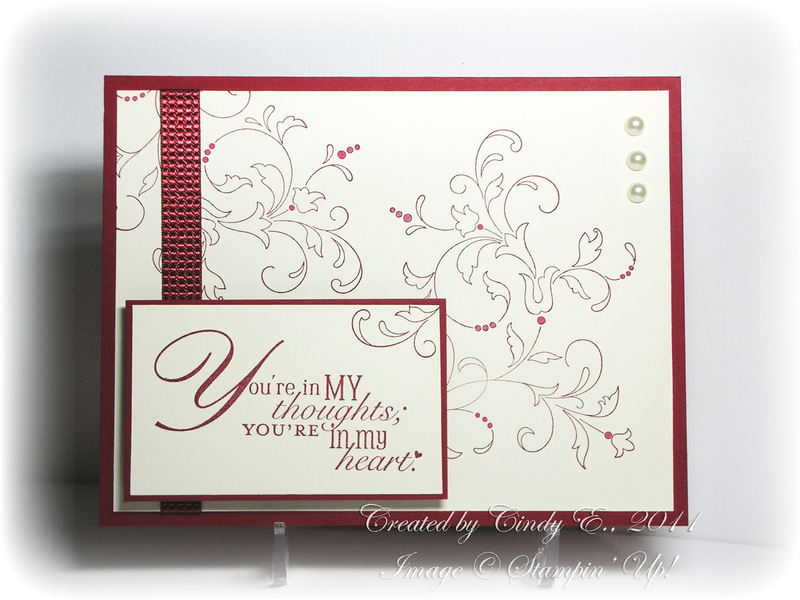 Thank you, Paula, for asking of I'd like to be a Featured Cardmaker. Um, let me think about that for a sec.... YES!!! And thank YOU, visitors, for stopping by my humble blog today! I hope you found something to inspire you here. (Check out the Christmas cards posted the past couple of days.) If you are new to Operation Write Home, please be sure to check the Card Guidelines and Shipping Deadlines before sending cards to the shippers. Oh, and if you can Prepare the Cards before you send them, it would save our shippers tons of time, too! and sacrifice so much to ensure our freedom. Congrats, featured carmaker!! Your cards are fab! Ooooh, I love that sunset! Gorgeous cards! That second one is particularly stunning! Congrats on the honor - you deserve it! These are great! Easy to see why you are featured stamper! I have a set of cards ready to send to OWH, you've inspired me to make more! Love, love, love those cards. Especially the first one. Congrats! Congrats on being the featured stamper! Love your cards! The sunset is just beautiful!! I have been following your posts for a while now and I couldn't help but say that you are BRILLIANT at this! I've loved writing all my life and have been extremely lucky to have gotten my work published. Inspired by your ways of such effectively communicating with all of your followers, my birthday resolution was to start a crazy, stupid blog. Your comments/suggestions/following my blog will help me immensely in this journey! Hoping to always have you posting work as great as you have been! Congratulations! I love your creations. Thanks for the inspiration! What beautiful CAS cards, Cindy. I liked the layouts on the ones on OWH's blog, too. I love both cards--CAS yet striking. Congrats! and Thank-you.